Join us for a dive into the power of what Scrum can be. You'll get the standard Core Scrum content from the Scrum Alliance and the Scrum Guide, plus a bunch of extra perspective & strategies from someone that's been doing it since 2002. We'll spend most of the course focused on Core Scrum, and getting the principles clear & solid in your own thoughts and words. You'll be using Scrum, practicing Scrum, and explaining Scrum, the why, the what, and the how, in the safe environment of a class. In our coaching & consulting, we often see teams that glossed over the core principles and end up getting lost in other details. This brief investment in clarity will pay off for you for many years. 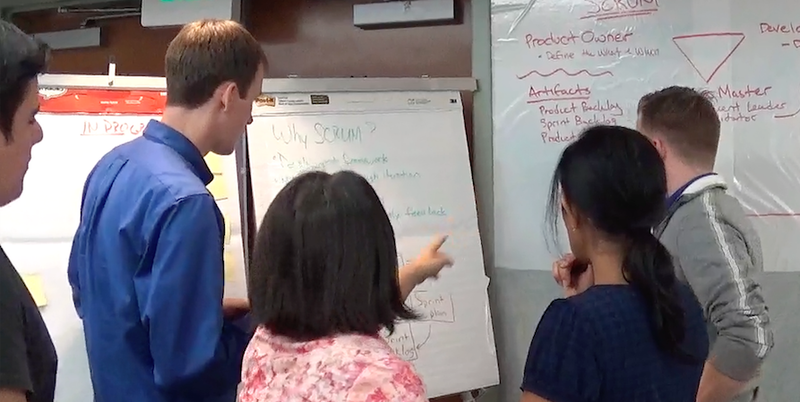 The course is fundamentally focused on standard Core Scrum, so you know you’re learning the concepts and vocabulary other Certified ScrumMasters learned. Plus, the course includes discussion of common optional Scrum practices, and various other topics and recommendations based on experience with working Scrum teams. User Stories, Epics, Acceptance Criteria, INVEST, Estimation, Burn-down/up charts, Velocity, Capacity, Release Planning, Scaling, Distributed teams, Vision, Chartering, Engineering/Technical practices, Five levels of planning, Team growth, Product Roadmap, Small Batches, Definition of Ready, Look Ahead, “Story Time”, Testing Pyramid, Running Tested Features (RTF), Antipatterns, Challenges, etc. Did you know that the first Scrum teams, and the best Scrum software teams, make full use of Agile engineering practices from Extreme Programming and beyond? I'll point out the practices, and explain why & how they matter. While this topic is not on the CSM test, it matters to your success with Scrum for real products. This course often includes a brief introduction to Lean Startup principles, how they complement Scrum, and how the full Scrum team can participate in product experiments and validation, in organizations of all sizes. plus 14 PDUs (Category B) within the PMI. SEUs and PDUs can be used toward CSP, PMP®/PgMP® and PMI-ACP℠ and other certifications. 100% Money-back guarantee, if not satisfied. Just tell me by the end of the course, prior to taking test. Scrum Circle on-line group coaching for alumni. Free. ~ One hour per month. Earns you one SEU per hour. We want you to succeed with Agile/Scrum! Discount to repeat the course, from SourceCell. You'll have even more fun. Solidify knowledge. Get new insights. Meet new people. Practice more to get even better. Email describing your situation and which course you want to take. We'll make it happen. "Provides a great fundamental overview of Scrum and the Scrum Master's role critical for any team member working in an agile/scrum environment." -- Nolan, CSM Course, San Francisco, CA. "Great perspective & level-set on Agile/Scrum. 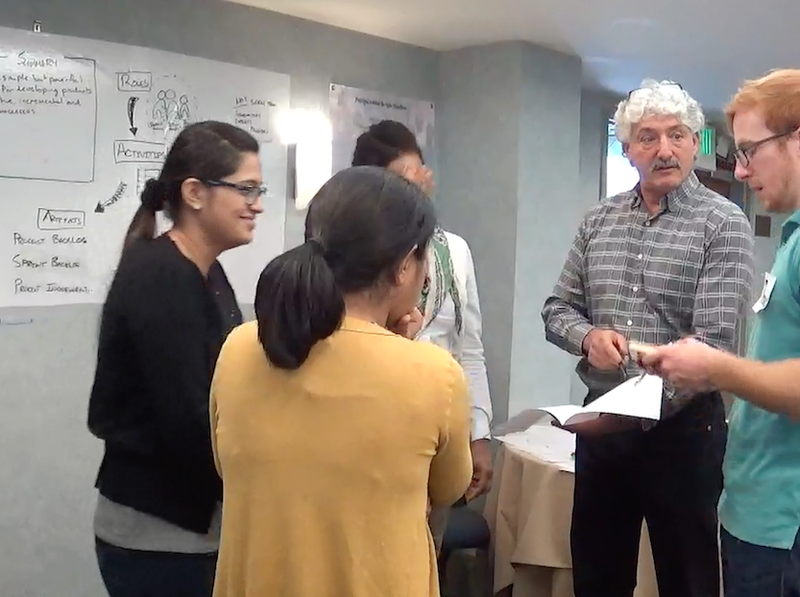 Eliminated misperceptions about what Scrum is and isn't" -- Dave, CSM Course, Sunnyvale, CA. 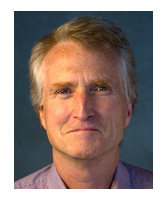 Why Take The Course From Michael Kelley Harris and SourceCell? Awe shucks. I don't want to "sell you". :-) But I will mention some considerations. Scrum/Agile Principles & Values for the long-run. While some Scrum classes present a mix of specific practices and principles, without a clear distinction, I strive to arm you with the key principles and mindset, and then present possible practices you could choose from. By having a clear distinction between what's officially part of Scrum and what's optional, even if common, will help you keep your eye on the key insights and be able to choose and change practices as your team evolves. You’ll learn the topics in an iterative way -- Rather than working linearly through the Scrum topics, this course uses an iterative approach. You’ll get an early view of the main topics and vocabulary, so you see more context. Then we revisit the ideas in increasing detail. This approach better ingrains the Scrum ideas, and how they play together. This approach also arms you with different ways to explain the Scrum ideas to your team and stakeholders, at an appropriate level for the situation. From a 30-second elevator pitch, to a deep dive into the details. Networking with other aspiring ScrumMasters, managers, developers, and test professionals -- I provide ways for you to learn about each others goals and interests, an network in casual effective way. Startup & Corporate -- I work with a lot of startup companies in addition to large corporations. The range of environments bring a range of challenges and solutions. I’ve seen countless people get lost in the details of Scrum/Agile. -- I’m going to help you learn essential principles that will serve you for years, saving you lots of time and frustration. Especially in the corporate world, in my 12 years of direct SCRUM experience, I see people getting bogged down in details and the idiosyncrasies of tools. This course will reinforce the important stuff, so you can keep your teams flowing and your stakeholders smiling. The focus is on getting YOU to practice being a ScrumMaster, not just listen to me talk. -- Simply listening to your instructor lecture you for 2 days is less interesting and useful. This class will get YOU playing the role of Scrum Master, and explaining Scrum to each other, and creating summaries of Scrum in different forms, and you can use later in your work. This way you are fully prepared to implement and explain these strategies, and will already have practice working through different situations (uncooperative employees, people who don’t understand, new people, explaining to higher-ups, etc etc). Your instructor has worked with lots of different organizations and industries. -- PayPal, Schlumberger, Cisco, Discovery Channel, State of California, etc. just to name a few. Not to mention the thousands of student interactions from various companies. I’ll tell you common challenges and solutions. Learn simple techniques and tools. -- While sophisticated tools are powerful, they aren’t always available, visible, fast, or the best tool for the job. You’ll learn some simple planning and communication techniques and tools to use in any situation with minimal or no supplies. I have been doing Agile since 2002. -- I have tons of experience with Agile in different companies. Scrum plus Extreme Programming, Lean Startup, Design Thinking, and more. I’ll tell you what’s easy, what’s hard, and what really matters. Hardware & Embedded Experience -- I've also used Scrum/Agile on hardware+software projects, and embedded projects. I can help you better manage dependencies of many kinds. I offer a relatively conversational Socratic class. I'm not a showman or policeman there to convince you or force you in anyway. I'm found that people assimilate these ideas at their own preferred rate. I will help the class move as fast as it wants and provide exercises, data, and questions to help you draw your own conclusions. Food Strategy -- To keep the course fees low and the food options high, whenever we can find a venue that is within quick walking distance to restaurants, we don't cater a lunch, and set you free for the lunch break. That will be described for each specific course date/location. Feel free to ask, or suggest. So far, people have generally liked this policy of having more lunch choices. When we provide catered lunches, we strive to provide vegetarian, vegan, and omnivore options. Simple Pricing Policy -- The courses are offered at a simple flat rate for everyone, no matter when you register. Simple Refund & Cancelation Policy -- If your plans change, let us know and we'll help you find an alternative class, or give you a full refund. If we need to cancel a class, we'll give you the choice of a full refund or a seat in another class. We strive to never cancel a class, but something may happen. 100% Money-Back Guarantee if you aren’t satisfied and I guarantee you’ll pass the exam. --I guarantee you'll be satisfied, or your money back. If you’re not happy, tell me sooner than an hour after the end of the course, prior to the certification paperwork. No one's actually requested a refund, but I definitely want you to be happy and get certified! If you somehow fail to pass the on-line exam, let me know and you can retake the course again until you pass. It’s my personal commitment to all my students. Each course listed on the Calendar has a "REGISTER" link that takes you directly to the specific course's registration & payment page on Eventbrite. That's the quickest way to register & pay. If any aspect is confusing, send me an email or call me. Registration is not particularly formal. I just need your name, email, and payment via some route. The only formal step is when I upload your name & email to the Scrum Alliance site at the end of the course and pay your exam fees for you. But I do that, so don't worry about it. After you complete the two-day course, the Certified Scrum Trainer uploads your name and email to the Scrum Alliance site, and pays the fees to the cover your exam and two-year membership. Then the Scrum Alliance sends you an email within a few hours. The email includes an invitation to take the exam online within 90 days. Most people are able to take the test and pass within hours of days of completing the the course. After taking the exam, you get the results right away. If you pass, you can then fill out a profile on the Scrum Alliance site. Once you're certified, you're listed & searchable on the Scrum Alliance site. You can print your cerfiticate as a pdf. While there is no strict preparation required for the course, there are two key references that will help you get the most out of the course and have the highest odds of passing the exam. They are the "Scrum Guide", plus the "Core Scrum "information from the Scrum Alliance. They are both brief. You can get see them free online on this page of Scrum references and info: Scrum Resources While you're there, take a look at the other references and videos. I look forward to meeting you and helping you get certified. If you have any questions, feel free to call or email. Also, if you have any comments or suggestions for improving the course description or registration process, I'd welcome hearing. If you work on non-software products & services, you'll feel at home too. Scrum principles and practices are used successfully for developing a wide range of products, including cars, fighter jets, radio shows, education, management, and more. If you have special circumstances (e.g. a group/team of people that would like to attend, non-profit status, etc. etc. ), call me or email and let's find a way for you to take the course.